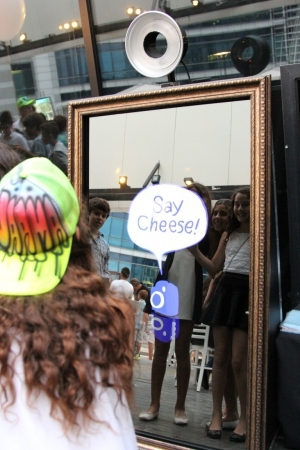 We’re excited to introduce Lucky Mirror, a magic mirror powered by Lucky Shots! Our new state-of-the-art interactive mirror entertains guests, takes amazing photos and prints them out instantly. Our mirror booth takes up less space than your traditional photo booth, features an amazing touch screen with fun animations and looks great for every type of event! Lucky Shots is a Houston photo booth rental that takes the excitement of your event, wedding and party to the next level! Our custom branded photos are printed in seconds for all of your guests and we help make it a night that they will never forget. Lucky Flipbooks is a Houston Flipbooks company that is ready to create even more memories at your next event! Guests leave with a wonderful high quality action flipbook to take home.